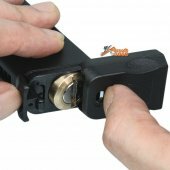 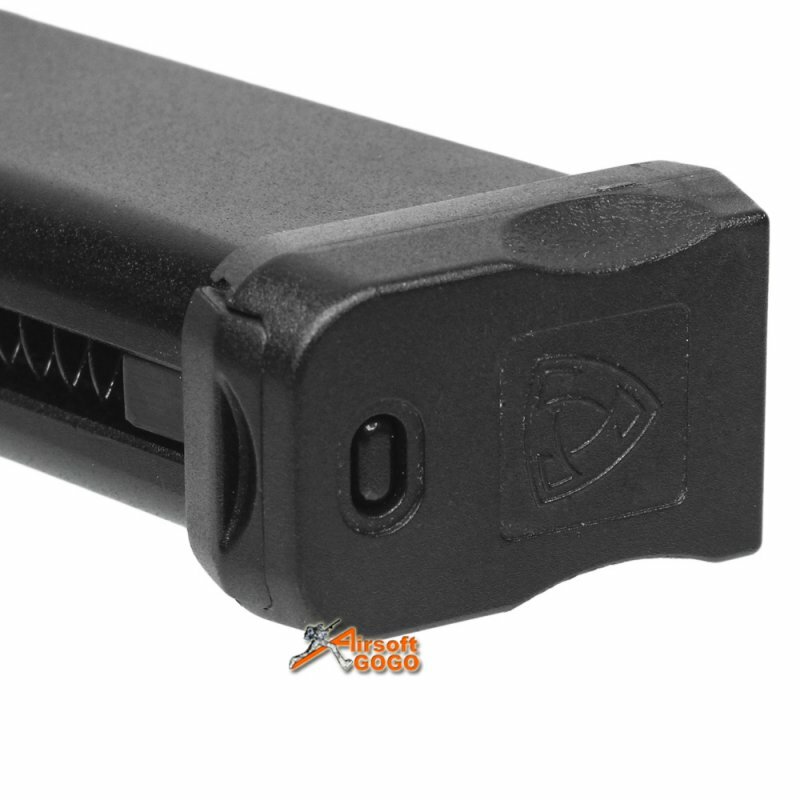 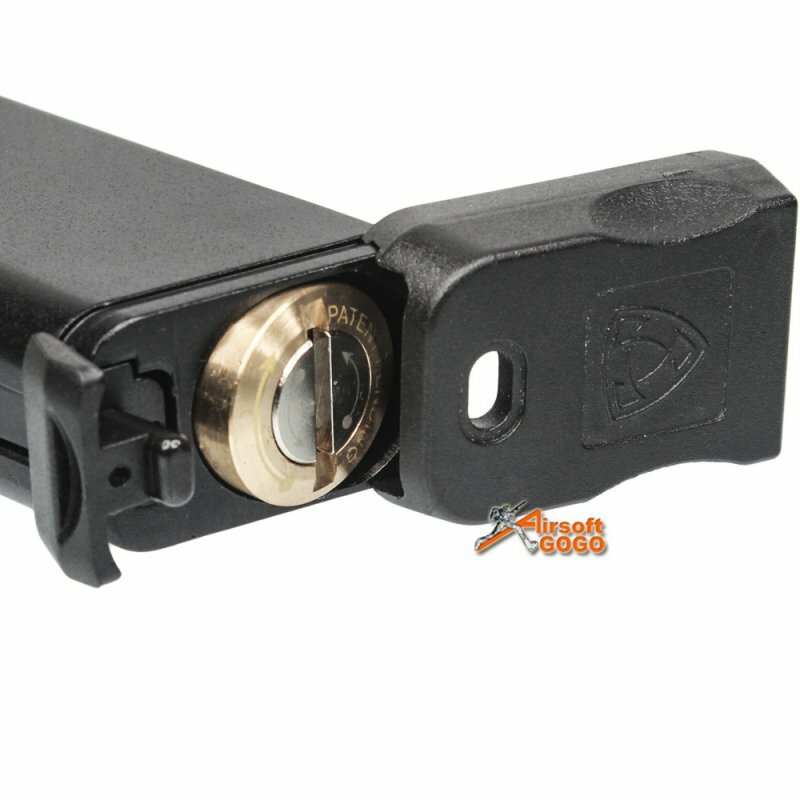 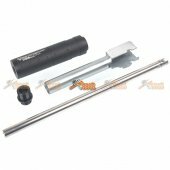 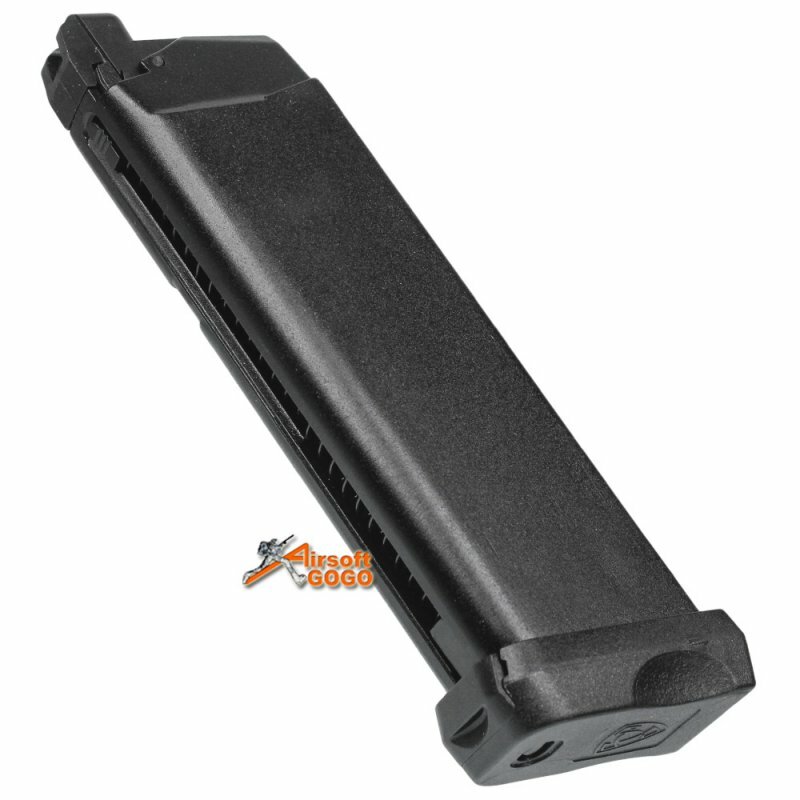 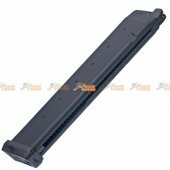 This magazine is made of metal and fully compatible with aftermarket airsoft guns using the similar design. 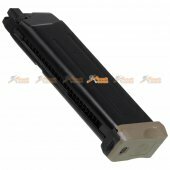 The capacity of this magazine is 23rds. 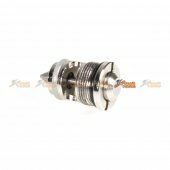 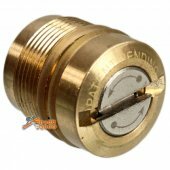 It takes 1 x 12g Co2 Canister and the valve + O-Ring are reinforced to accept extreme strong pressure of Co2 gas. 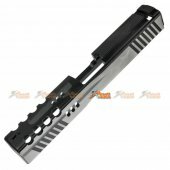 The end cap of the magazine has patented design of better gastification of Co2. 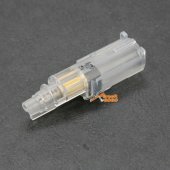 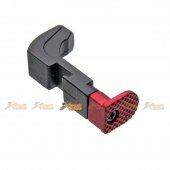 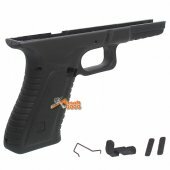 Suitable for APS ACP601 Series GBB Pistol. 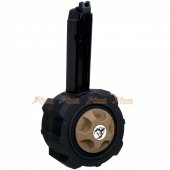 Patented design of the End Cap of better gastification of Co2.